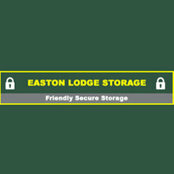 Cambridgeshire based Easton Lodge Storage offers a high quality, cost effective and flexible storage solution for Wittering, Wansford, Stamford, Oakham, Peterborough and surrounding areas. Our units are easily accessible and are available in a variety of sizes – all at competitive prices. We serve both domestic and commercial sectors and our main aim is to provide trustworthy, safe and secure service to our customers. So if you need to store household items or want to free up much needed space, call us now. Our team is here to assist you. It was a great experience from initial contact to storing the items in Easton Lodge Storage. The team were always accommodating and ready to help. We wouldn’t hesitate to use their service again. Great communication and excellent service from staff. The storage units are very clean and easily accessible, thanks for storing my items safely.